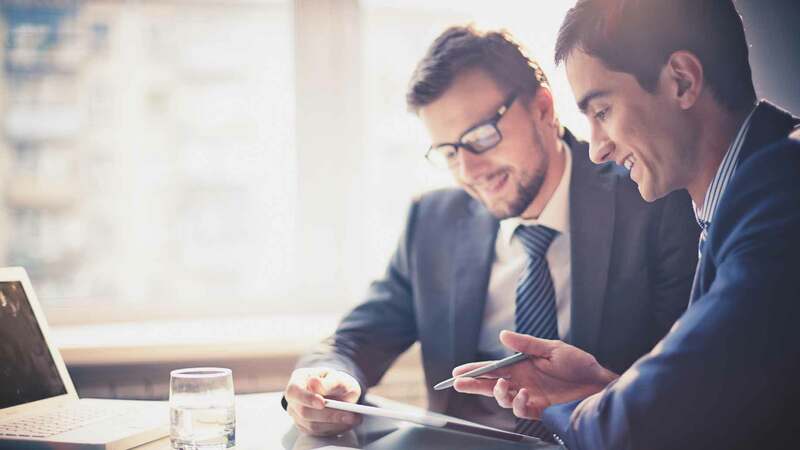 Many small business owners believe that since they’ve got an intimate, close-knit operation, they’re not susceptible to fraud when, in fact, the opposite is true. The Association of Certified Fraud Examiners reports that small businesses experience more instances of fraud than medium or large companies do. By designing and implementing appropriate internal controls at your business, you can detect fraud as it occurs and prevent employees from attempting it in the first place. While you may think that fraudsters are hardened criminals who jump from job to job, the Journal of Accountancy reports that most individuals who commit occupational fraud are first-time offenders. Also, very few fraudsters take a job with the intention to defraud the business. This means that diligent hiring practices and thorough background checks aren’t enough to prevent fraud from happening at your business. However, there are certain factors that make an individual more likely to commit fraud. The Association of Certified Fraud Examiners contend that there are three elements that are typically in place when fraud occurs. First, the individual committing fraud feels financial pressure – high debts, a lavish lifestyle, family members with financial problems, and gambling addictions are all potential sources of pressure. Second, the individual needs a way to rationalize the fraud. An internal monologue of “I’m not paid enough,” “I work harder than the boss does,” “The company will never miss this,” and “I deserve this” all help a person justify unethical behavior. Lastly, individuals need the opportunity to commit fraud. While you, as a business owner, can’t always affect an individuals’ financial situation or attitude, you can affect the opportunity factor with checks and balances and appropriate internal controls. 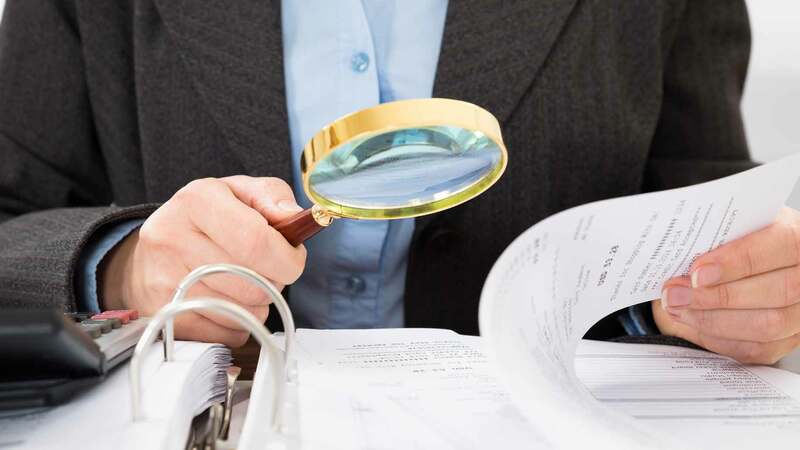 According to the Association of Certified Fraud Examiners, asset misappropriation is the most common type of fraud that occurs within small businesses. Asset misappropriation occurs when an employee or contractor devises a scheme to steal or misuse company resources, such as cash or inventory. Pay careful attention to how your business collects cash from customers. If the right measures aren’t in place, an individual can intercept the cash and hide it from the owner. Skimming, a popular way to steal cash, involves stealing an incoming payment before it can be fully recorded in the company’s financial records. For example, say that a customer wants to buy a product at a brick-and-mortar store. A scheming sales employee could accept the payment for the goods but pocket the cash instead of recording the transaction. With skimming, an employee can either record only part of the payment – for example, recording only $50 paid when $100 was given – or fail to record the payment altogether. Since the sales transaction isn’t recorded, the store’s inventory isn’t updated either. That means that the actual business inventory will in reality be smaller than what’s reflected in the accounting records. It’s not just in-person transactions that are susceptible to skimming. An accounting or clerical employee who receives customer payments can also pocket incoming cash. The employee can then falsify a credit memo or write off the account as uncollectible so that the business doesn’t notice that the payment is missing. A complex but fairly common accounts receivable skimming fraud involves lapping customer payments. In a lapping scheme, a bookkeeper or accountant pockets the cash payment a customer makes toward that customer’s account. To cover up the shortage, the accountant uses a payment received from a second customer toward the first customer’s account. If the second customer notices an incorrect account balance, the accountant uses a payment from a third customer to cover the deficit – and so on. Because payments are so mismanaged, someone invariably catches onto the scheme eventually. Still, fraudsters can keep up lapping schemes for months or even years without being caught. Cash larceny is similar to skimming in the sense that an employee or contractor is stealing incoming cash. The difference with cash larceny is that the employee steals the cash after it has been recorded on the business’s books. For example, an employee might steal money from the cash register after a transaction has been recorded. The employee can record a fraudulent cash register disbursement to conceal the fact that cash is missing. For example, an employee might void the previous sale or issue a refund and take the corresponding cash out of the register. Low Inventory. If actual inventory in the store is lower than what it should be according to the books, it’s possible an employee isn’t recording all sales. Gaps in Numbered Documents. For restaurants and other businesses that use pre-numbered vouchers, a gap in the vouchers might mean an employee threw away a receipt and kept the cash. Customer Complaints. If an employee is lapping payments, customers tend to call in and complain that their statement balances aren’t right. Low Revenue During Certain Shifts. If cash collections are lower whenever one particular employee is working, that might indicate cash theft. Require Manager Approval to Issue Credits, Void Sales, or Write-Off Accounts. Once someone else is involved in the transaction, a devious employee has less opportunity to steal unnoticed. Issue Monthly Account Statements. An employee is less likely to mess around with customer payments if clients get a regular update of their account balance. Institute Mandatory Vacation Time and Job Rotations. Lapping schemes fall apart quickly once the guilty employee doesn’t have the opportunity to move cash around. Perform Surprise Cash Counts. By comparing cash in the register to cash receipts, managers can identify cash discrepancies quickly. Video Cameras. Employees are less likely to behave badly when there’s a video camera monitoring the registers. Lock Boxes. By having customer payments sent directly to a bank lock box, cash doesn’t pass through employee hands and employees don’t have the opportunity to steal it. Rather than lifting money as it comes into the business, other fraudsters steal outgoing cash disbursements. Of all the ways that employees and contractors misappropriate company assets, stealing cash by fabricating fraudulent cash disbursements is the most commonly used tactic. Employees can bill for goods and services that the company never received and pocket the cash. The employee falsifies invoices with made-up services or products and, when the check is disbursed, the fraudster cashes it himself. The employee has payment issued to a nonexistent vendor, using the name of a shell company that the employee or a friend or family member owns. Employees can also collude with an existing vendor to overcharge the company for products. In exchange for pushing through an inflated invoice, the vendor gives the employee a cut of the profits. A Vendor’s Rates Have Risen Substantially. When one vendor’s rates have increased at a higher percentage than the industry norm, it could be that you’re not getting a fair deal. Employee Preference for a Certain Vendor. An employee who insists on a certain vendor or isn’t open to receiving bids from other contractors may be getting a kickback. Maintain an Approved Vendor List and Only Write Checks to Approved Vendors. This prevents you from making payments to shell companies or employees’ friends. Before adding a vendor to the list, do some research and ensure that it’s a legitimate company. Along With an Approved Vendor List, Maintain an Approved Price List. This makes it difficult for employees to raise prices in collusion with vendors. Ask for a Copy of the Receiving Report Before You Sign Checks. That way, you only sign checks for products that the company actually received. Another way to get cash out of a company is to fudge expense reports. Employees can get an artificially large reimbursement check by adding personal expenses, nonexistent expenses, or otherwise inflating expenses on an expense reimbursement request. Extravagant Expense Reports. If a certain employee expense reports are higher than historical averages or other employees’ reports, it’s sign the employee is spending too much. Employee Doesn’t Submit Receipts. When original receipts aren’t attached to the expense report, you never know whether the employee actually incurred the cost. Require Receipts for Expense Reimbursements. If you don’t, employees can add on expenses that they never really incurred. Document Your Company’s Expense Reimbursement Policy. In it, be clear about which types of expenses can be reimbursed and what’s not appropriate for reimbursement. Provide a copy of the policy to all employees. Compare Expense Reports of All Employees Who Went on a Specific Trip. If one is much higher than the others, that’s a sign that expenses are inflated or the employee is overspending on purpose. Employees or contractors who have access to outgoing company checks may tamper with them for their own benefit. If blank checks aren’t kept secure, someone can steal a few and make them out to themselves or to a friend. A bookkeeper who draws up checks for a business owner to sign may later alter the name on a check, intercept it, and cash it himself. Gaps in Check Numbers. If there’s a sequential gap in your numbered blank checks, it’s possible that someone lifted a few. Vendor Complaints. When a vendor informs you that it hasn’t received payments even though you cut the check, the payment may have been intercepted. Keep Blank Checks Secure. They should be locked up in your office at all times. Don’t share your key, and only produce the checks when your bookkeeping staff is ready to print them. Review Your Business Bank Statement Every Month. Look for check amounts that you don’t recognize. Ask your bank to include an image scan of cashed checks so you can ensure they weren’t tampered with prior to endorsement. Even if your cash is secure, employees can find ways to steal or misuse physical assets such as computers, company products, and inventory. Employees involved with the receiving process can steal inventory or products at the point of delivery. The scheming employees may modify the incoming shipping report and the company receiving report to hide the fraud. If those employees also have access to purchasing records, they can alter the purchase requisition to match the fake shipping reports. If there aren’t many physical controls in place to monitor assets, employees and contractors can simply take company property off of the premises and never return it. Low Inventory. If inventory per the books is higher than actual inventory levels, someone could be stealing. Poor Quality Inventory Documentation. If supporting purchasing and receiving documents aren’t the originals or appear to have been altered, you may be dealing with the work of a thief. Perform Random Inventory Counts. This can tip you off to inventory shortages and make employees less likely to steal. Segregate Inventory Duties. The same person shouldn’t be responsible for both purchasing products and receiving them. Install Security Cameras. In particular, monitor the rooms and areas where inventory and valuable products are stored. Keep Inventory and Assets Secure. Areas with valuable assets should be locked when possible, and only certain employees should have the keys. Additionally, there are general strategies you can employ to avoid fraud. By changing the way that you manage and the way that you delegate tasks, you can reduce the chance that someone will defraud your business. Cowan, Gunteski & Co., a CPA firm, notes that you can nip potential fraud in the bud if you’re aware of changes in employees’ behavior and attitudes. Check in with your employees periodically and take the time to chat about how things are going. Of course, you never want to assume that employees are stealing just because they’re exhibiting some of these traits. Still, if you suspect that fraud is happening, you can focus your monitoring and fraud prevention efforts toward departments and areas where high-risk employees work. Try to help out staff members who are stressed out or struggling financially in any way that you can – you’ll retain more workers and build employee loyalty. 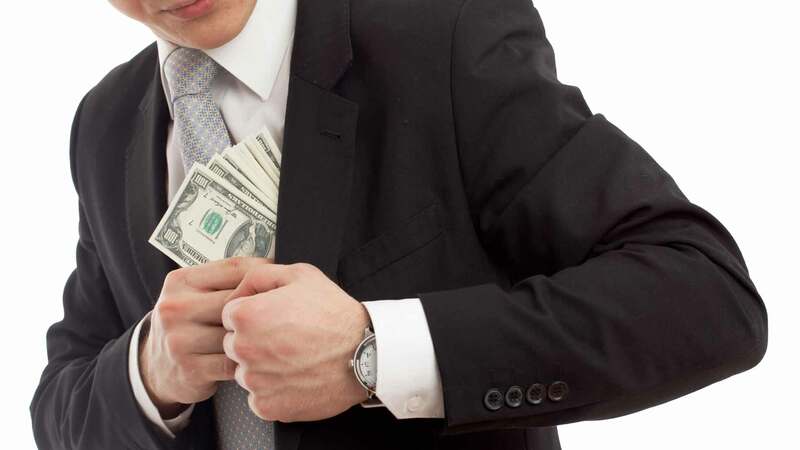 How you behave as a business owner can affect your employees’ attitudes regarding theft. If you cut corners and don’t act ethically, the people who work for you are more inclined to do the same. Conversely, if you make a concerted effort to be honest and ethical in your business dealings, employees will understand that the same behavior is expected of them. Create a code of conduct that outlines the type of behavior you expect of everyone in your business. Also, make it clear that your door is always open to employees who want to share their concerns about business operations. The Association of Certified Fraud Examiners found that most managers find out about occupational fraud after being tipped off, so consider implementing an anonymous hotline to report suspected fraud. One of the best internal controls to prevent fraud is segregation of duties. In other words, one person shouldn’t be responsible for so many tasks that fraud can be committed and covered up without the owners’ knowledge. To remove opportunities for fraud, no person should have custody of assets (such as cash and valuable products), the ability to record or alter accounting information about those assets, and the power to authorize transactions about the assets. Segregating duties is tricky in a small business because you simply don’t have enough people amongst whom to divide the tasks. Still, there are steps you can take to split up key functions with only two or three employees. For example, say that you and an office manager are the only two employees at your business. While your office manager may have access to undeposited funds, reconciling the bank statement and creating invoices and bank deposits, you should be the one who reviews the bank statement, opens the mail, reviews transactions, and approves credit memos. If you have a third employee – say, an office assistant – have that employee reconcile the bank statement, open the mail, and prepare bank deposits. This takes some responsibility off your plate and makes it harder for the office manager to hide stolen payments. Implementing internal controls is a critical part of protecting your business. However, it can be awkward to do in practice. Employees and contractors may not understand why their duties are changing. Communicate to your employees that the controls are in place to protect them, as workers, and the business. Engage them in the process of improving business security and ask for their input on a regular basis. As the individuals doing the day-to-day work, they may have insights on certain processes that can help you improve the controls. They can also let you know which controls are working well and which aren’t. 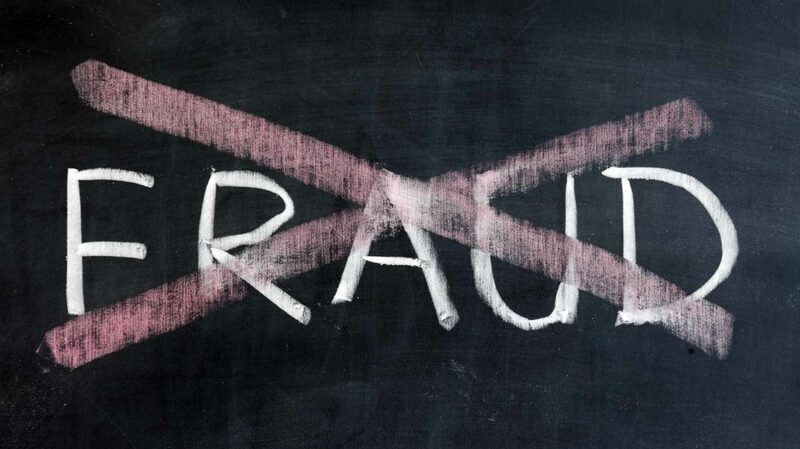 Have you ever owned or worked at a business where someone committed fraud? How did it happen?